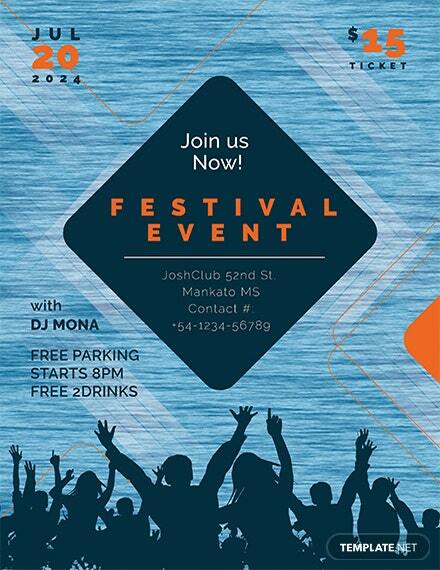 Flyers are very helpful in terms of disseminating information about an event. 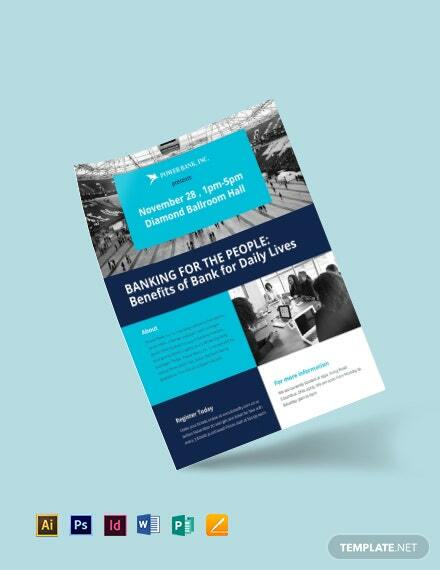 Most flyers have design themes that showcase what the event is for or the program that is associated to the purpose of the event flyer creation. 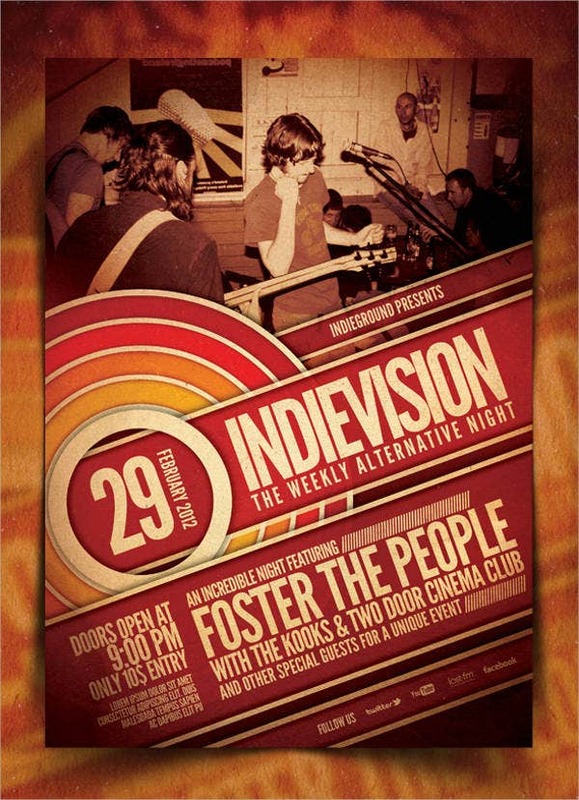 A sample of these themed event flyers is a retro event flyer. 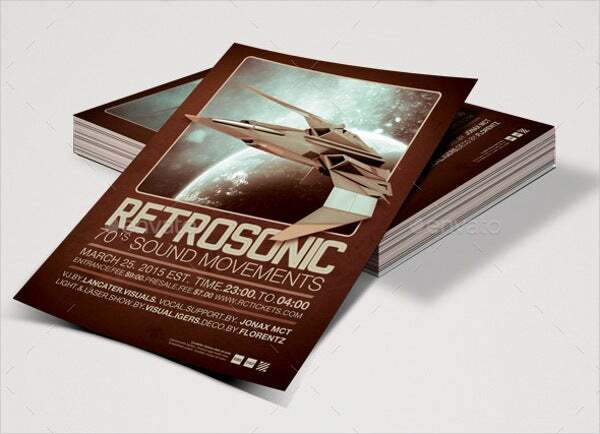 This post provides for you a collection of retro event flyers that you may use in promoting and advertising your next retro event. 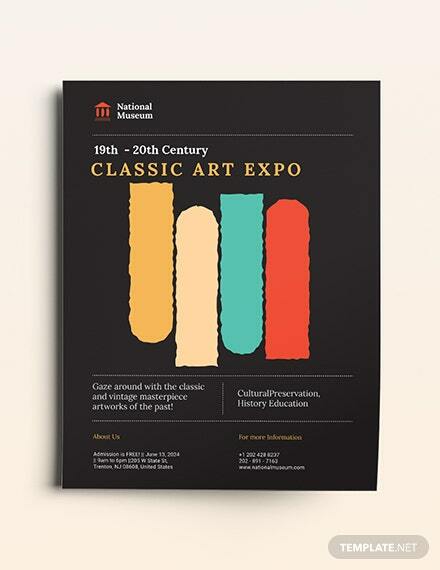 Other than our retro event flyer samples, you may also want to download other flyer templates in the link provided for additional references. 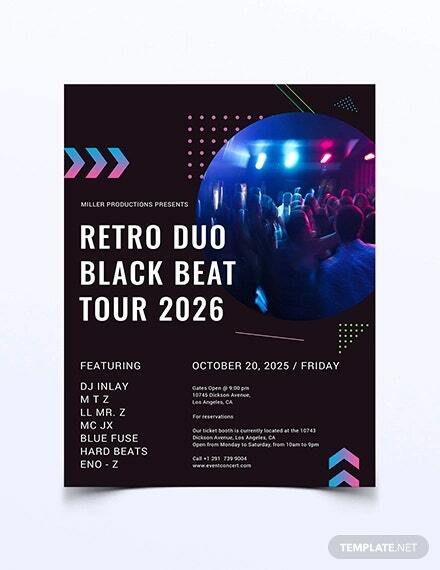 Create a retro music event flyer for music programs, concerts, and parties. 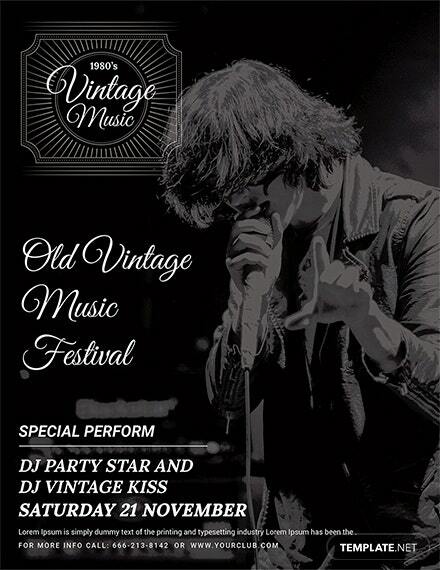 You can apply photos of the person who will front act the event and apply various retro effects to make the flyer look more stylized and appropriate for the retro theme. 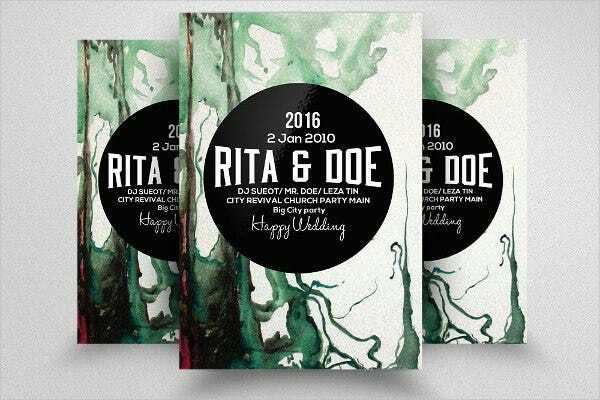 There are also futuristic retro event flyers that mix the vintage and the retro features of a design item with sleek and polished designs for the event flyer to look more modern. 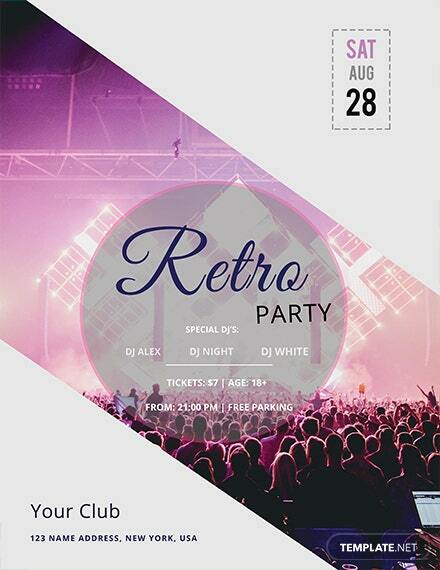 Retro party event flyers may be used by bars for party nights that are retro themed or even for special events where people are expected to wear retro fashion. 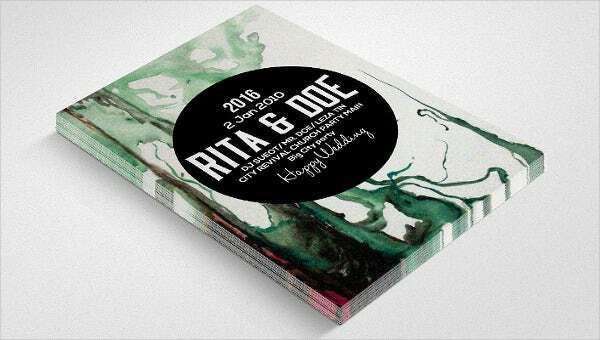 You can also mix two old-aged style through the use of a vintage retro event flyer. 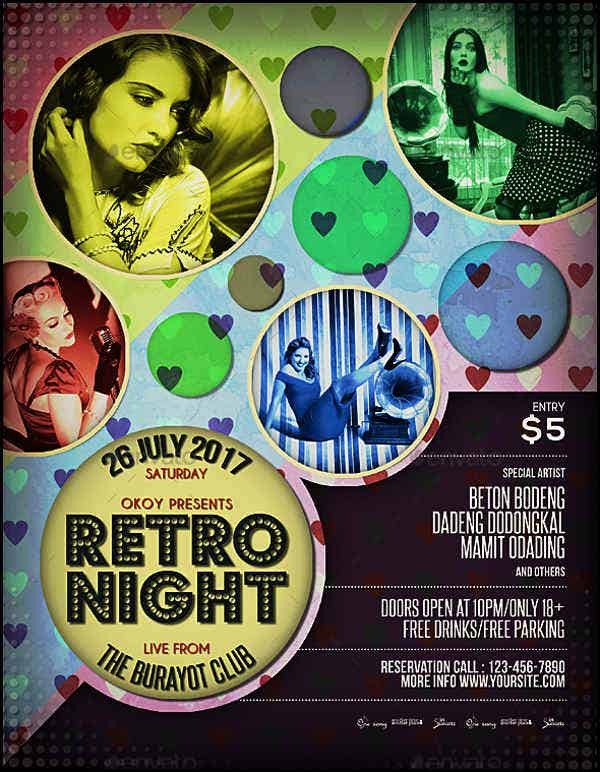 You can apply vintage filters in a retro-themed flyer to make it look old-fashioned while still making it look appealing and interesting. 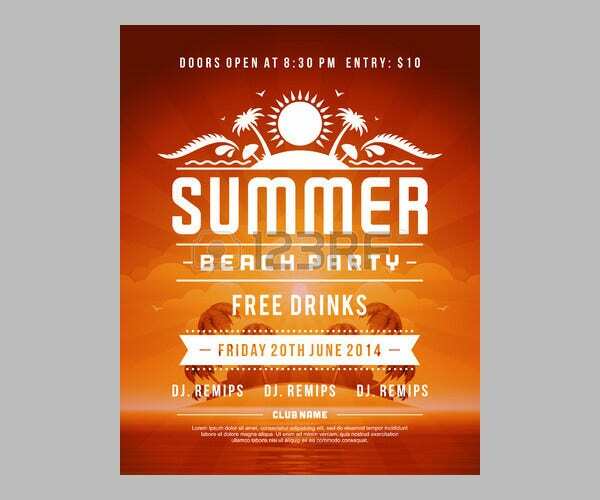 Other than our retro event flyer samples, you may also want to download our samples of other event flyer templates. Use design items that are related to retro. 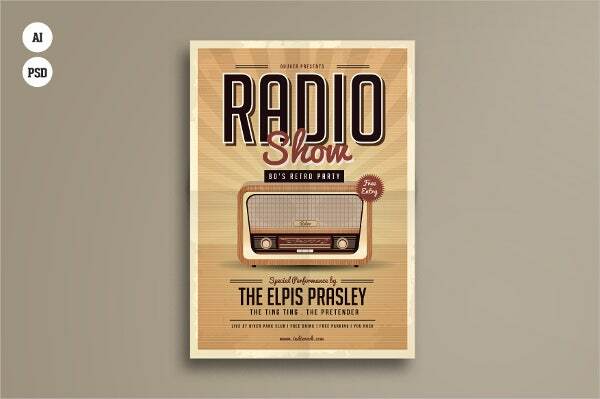 In the sample event flyers that you have seen in this post, there is a wide usage of radios, music discs, retro clothing. 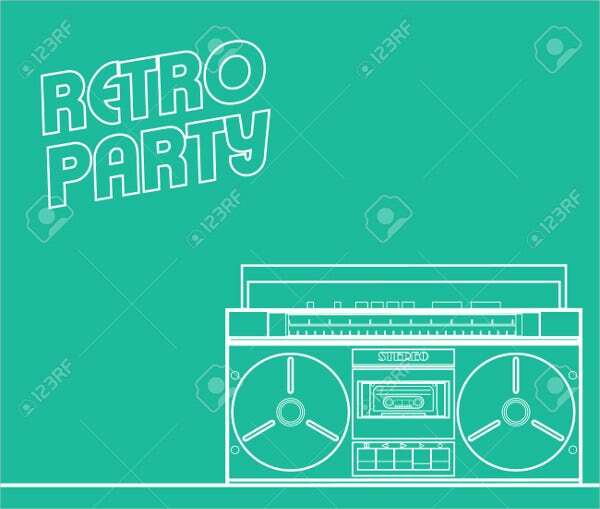 As long as you can exhibit an item that people can associate with retro, the event flyer that you will use will already start to have the retro vibe that you want to achieve. Create linings, spacing, and other material combinations that will allow the retro colors of yellow, orange, and red to pop out. You can also make use of disco colors like violet and green, which are greatly used during the era where retro style is very much evident. 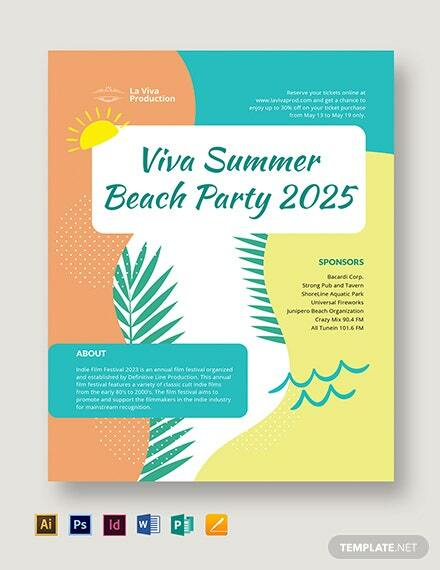 Assure that the font styles and faces that you will use somehow evoke the retro feel. You can use the fonts that are used in karaoke machines or those that can be seen in retro movie posters. It will help a lot in carrying the entire theme, especially because the people are going to browse through and read the information where the specific retro font has been used. 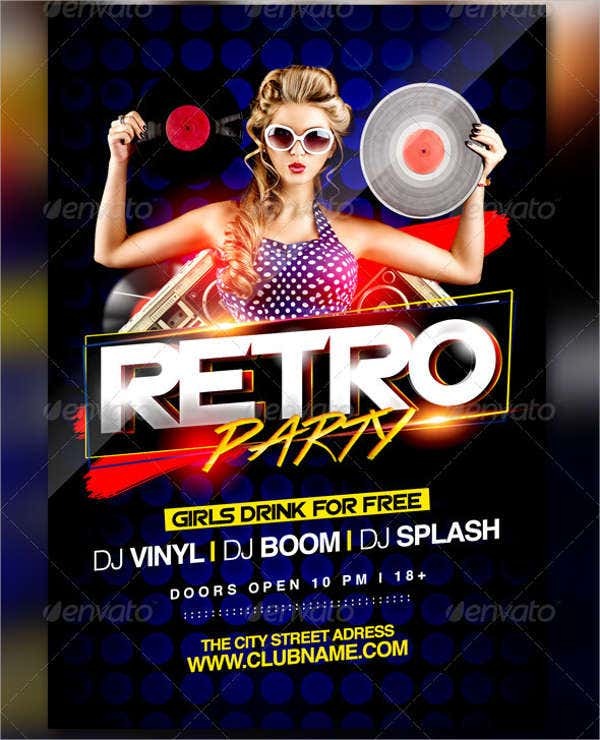 Aside from our samples of retro event flyer templates, our samples of various kinds of retro flyer templates are also available for download.